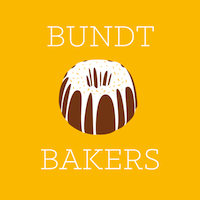 This month’s bundt theme is quite fun! Andrea of Adventures in All Things Food challenged us to “healthify” our cakes in a sneaky way. She inspired us to stealthily add in some veggies, find a healthy way to eliminate oils or sugars, or even experiment with an arguably more wholesome flour option. I wasn’t sure I’d get a chance to participate this month. We’ve had a lot of travel recently, going to Northern California for a wedding followed almost immediately by a trip to Lake Geneva. I’ve mentioned the lake house before, but in case you’re new to Sew You Think You Can Cook, I spent my childhood summers at my grandparents’ summer home at the lake. When my parents purchased the home before my grandma passed away, I looked forward to getting to continue the tradition with my children. We even had Firecracker’s first birthday there! I didn’t think we’d get a chance to go this year having to travel from California, but we made it happen. And I’m so glad we did. Firecracker is old enough to truly enjoy the lake and just as I did, jumped off the pier into his grandfather’s arms. I hadn’t baked my bundt before these vacations and was going to have to simply sit this event out. Fortunately there was a bundt pan tucked away in a cupboard, here! A beautiful, old Nordic Ware original. With plans to make my buffalo cauliflower for game day, we had the vegetable on the mind. Off to Pinterest I went to uncover a chocolate cake. We added some freshly picked (a story for a future post!) apples to the cake, too. The resulting cake is a dense, almost fudgy, cake. Funnily enough, the presence of cauliflower was apparent only if eaten cold. It wasn’t abrassive enough to say, “Hey, there’s cauliflower in here.” but just enough to know there’s “something different” about this cake. 15 seconds in the microwave and no one would be any the wiser. Not even a 2 year old. You might wonder why we even ate the cake cold in the first place. The answer is one that every food blogger can relate to. Needing to take a picture! The cake was completed and frosted after sunset. My dad told me I had to include this part of the story in my blog post. The fact that he couldn’t dig in to chocolate cake the day it was made! Yes, I received a lot of heat for having to wait until morning. It’s okay though, the boys had me up way before anyone else so I snapped some photos in the early morning sunlight. Boil cauliflower until fork tender. Puree in a food processor until smooth. In a bowl, whisk together the flour, cocoa powder, baking powder, cinnamon, and salt. In a large bowl, beat together the yogurt, sugar, and oil. Add the eggs one at a time, mixing until incorporated. Add in the vanilla and pureed cauliflower. Mix 1/3 of the dry ingredients into the wet ingredients until combined. Add 1/4 C of buttermilk, stir until combined. Repeat with remaining dry ingredints and buttermilk. Fold in the chopped apple. Pour batter into prepared bundt pan. Bake 50-60 minutes, or until a knife inserted comes out cleanly. Allow cake to cool before turning out of the pan. Melt butter in a small saucepan over medium heat. Add the brown sugar, milk, vanilla, and cinnamon. Stir for 3 minutes. Remove from heat and whisk in the powdered sugar until smooth. Pour over cooled cake. I would have never thought to put cauliflower in a cake. Way to go Lauren!! I am so curious to find out what the cauliflower does to the cake 😀 Well done! It makes it denser and a little fudgy! Definitely would like to try… Curious to know, how cauliflower taste in a cake. I think you won the prize this month for most unique ingredient! This cake sounds lovely…almost as lovely as your family vacation tradition!